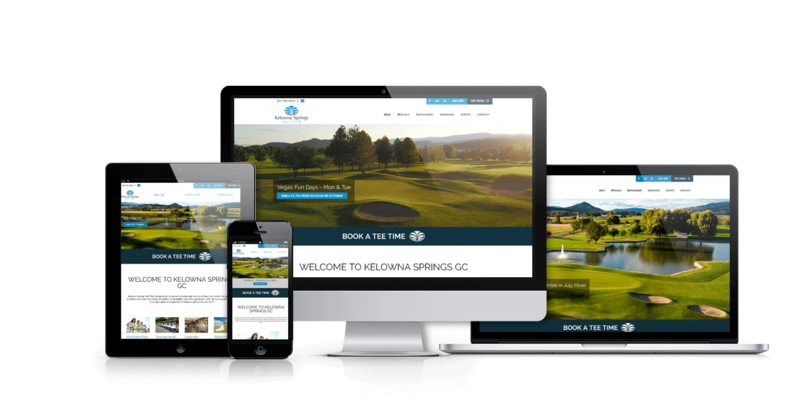 The Web Advisors were thrilled when Kelowna Springs Golf Club approached us to work with them on a website redesign. Our team worked closely with theirs to design and develop one of our top performing golf specific websites with a focus on driving online tee time bookings and growing event leads for their popular wedding business and corporate functions. To do this we used our own Web Advisors’ Custom Responsive Golf Framework and the scope of work included Search Engine Optimization (SEO) across the site, as well as optimized integrations for online bookings, social media feds and mobile app integration. We encourage you to check out Kelowna Springs Golf Club, kelownasprings.com.